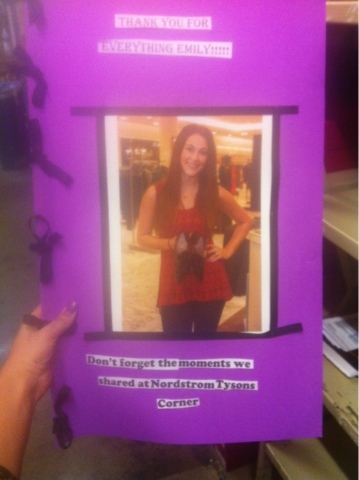 I can proudly say that I have graduated from the Nordstrom Internship Program. It was such a great experience, and I learned so much. It flew by so fast it doesn't seem right that it is over already. The last few days were really busy for the interns as our final days were coming to an end. We had our presentations and they also had a little graduation ceremony for us. It was really sweet we got recognized in front of all the department managers and thanked for all of our hard work that we have done this summer. Each of us also got to have one-on-one meetings with the store manager. During that meeting she just asked me how I liked the internship and what my plans are for after I graduate. 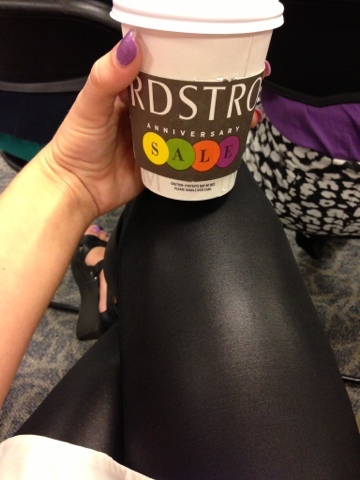 I really am considering going back to work for Nordstrom after I graduate, because I do have that option. Nordstrom is an amazing company to work for I would never be able to work for another department store. I am keeping my options open though and we will see after I graduate :)! I have grown so much during this internship and have fallen even more in love with the fashion industry. Nordstrom offers so many different jobs that I didn't even realize we're available. My eyes have definitely been opened to new opportunities, and I will be taking the things I've learned from this internship with me for the future! Hi, I've already graduated college but am interested in this opportunity as intern. Am I required to be a student in order to qualify for the position? Please let me know. You do have to be in college to qualify. It was actually one of the interview questions; making sure you were graduating in 2015 or 2016 for this summer's program. Hi Emily! I am really interested in the internship program for Nordstrom, and I am wondering if I can talk with you more about it? Just to ask some basic questions, etc. I read all of your posts, and I already feel like I know more about the program! Feel free to comment me back, and we can possible swap emails?